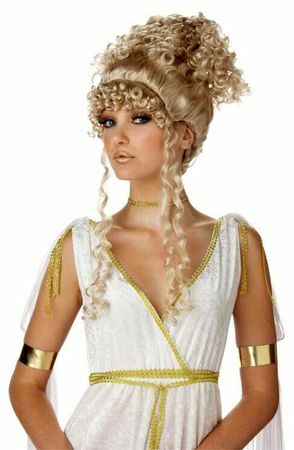 Look like a goddess in this gorgeous blonde wig with curls piled high and tumbling around the face. One size adult. Pair it with a nylon wig cap. See more goddess costumes and accessories in our Greek and Roman Costumes department!